The Coach "A" Foundation exists to help mentor youth and strengthen families. The Coach "A" Foundation will seek out, research and partner with those who support the development of young people to their full potential by focusing on healthy self-esteem, goal setting, hard work, sacrifice, and discipline. We are starting a scholarship program in 2019 for two high school graduating seniors who exhibit the qualities that Coach "A" inspired in all his players and other youth in the community. These scholarships will be for $2,000 each and be awarded in May of 2019. One of the most important things to know about Charles Larry Abernathy is in the fact that he was born in Alabama. This meant he did not go by his first name (which is only used for legal matters in the south) but by his middle name, Larry. He openly embraced his Alabama heritage - "Sweet Home," "Roll Tide," and even the term "hillbilly." Larry constantly demonstrated that "hillbilly" meant respect for others, hard work, and a living faith in Jesus Christ. Larry played tennis, softball, baseball, basketball, and flag football for many years; then he coached softball, baseball, soccer, football, and basketball for several more years. He led a group of young men from boyhood into adulthood at Center Pointe Christian Church, where he was an Elder for more than twenty years. In the fall of 2017, at the age of 64, Larry was looking forward to retiring from his 41-year career as an Aeronautical Engineer at GE Aviation and spending more time as a volunteer. He was excited about continuing to teach and mentor youth and being even more active in leadership roles at Center Pointe Christian Church. But Larry was diagnosed with pancreatic cancer on November 16 and died four weeks later. More than 500 friends, family, coworkers, and former team members attended the two-hour memorial service on December 19, 2017. 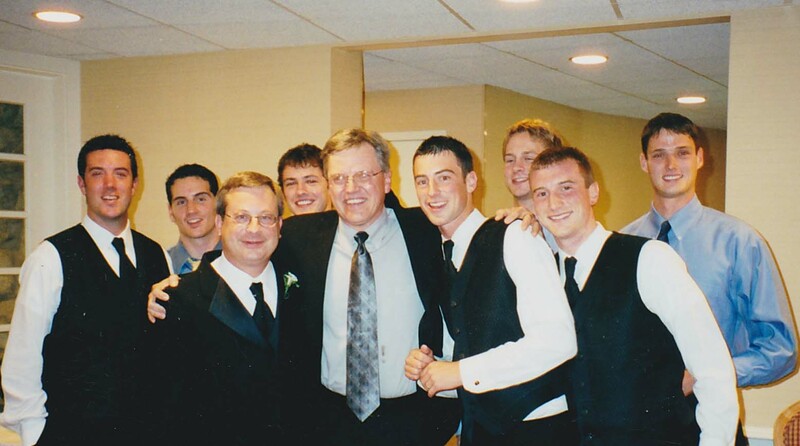 Larry's family decided to use the memorial fund to establish the "Coach 'A' Foundation" - a non-profit organization – to continue Larry's Legacy of developing character and self-esteem in today's young people, as well as educating and encouraging others to do the same. Diane founded the Pregnancy Crisis Center of Cincinnati in 1984 where she served as Chairman of the Board until 1987. She went back to serve as Business Administrator from 1992 to 1997. This great organization has expanded to include three locations and still exists today as Life Forward. She has also worked with the University of Cincinnati Foundation and has served in numerous volunteer roles in her church and the public-school system. Diane was married for 43 years to the Coach "A" Foundation's namesake, Larry Abernathy. Shawn has a Bachelor's Degree from Cincinnati Christian University in Bible and Christian Ministry and a Master of Arts Degree in Theology. He has served in vocational ministry for 21 years in a variety of roles including Worship Pastor, Adult Discipleship Pastor and Executive Pastor. He has been involved in the ministry at Center Pointe Christian Church since 2002. 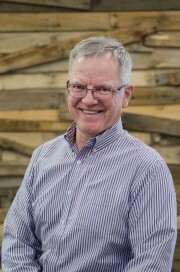 He has been the Lead Pastor there since 2009, and had a close working relationship with Larry Abernathy, who was the Chairman of the Elders for the last five years. William has a Bachelor of Science and a Master of Science degree in Mechanical Engineering from Virginia Tech. He has been employed at GE Aviation from 1977 until his retirement in 2014. His area of expertise there was Performance Engineering on both military and commercial products. He also served as Performance Program Leader for a commercial engine model. He worked with Larry Abernathy both at GE, and as his Assistant Coach for the Cincinnati Slammers Baseball Team for five years. Caleb has a Bachelor of Science in Sports Administration with a minor in Business. He also has a Masters degree in Coaching Education and Athlete Development. He has worked as the Video Coordinator for Xavier Women's Basketball, as a Women's Club Basketball Coach at University of Cincinnati, and a PGC(Point Guard College) Instructor. Caleb is now the Assistant Women's Basketball Coach at Covenant College in Lookout Mountain, Georgia. He has attended Center Pointe Christian Church for 11 years and was involved in a group of young men Larry Abernathy mentored during their high school years. Caleb has also been on several mission trips to multiple countries. Brian has a Bachelor's and a Master's degree in Music Education. He has studied and has certifications in Ministry and brings non-profit experience to the group as an executive director and chairman of the board at Changed Through Faith Ministries. He has experience in business management and has teaching experience in multiple private and public schools. Brian was invited to join the Coach "A" Foundation board after a mutual friend introduced us as someone having similar goals as the Coach "A" Foundation. We look forward to partnering with Brian and the Changed Through Faith Ministries in several events in the next few years.